The objective of ADVS is to provide effective and efficient environmentally friendly solutions with the intent of improving quality of services. The vast majority of LED based lighting solutions, just as the conventional lighting preceding it, shines its full illumination straight into the eyes of an observer looking at the light. It prevents people looking at their ceilings when the lights are on, because the direct light produced by the lights installed into the ceiling is making them blind. Some LED products have made a significant progress. 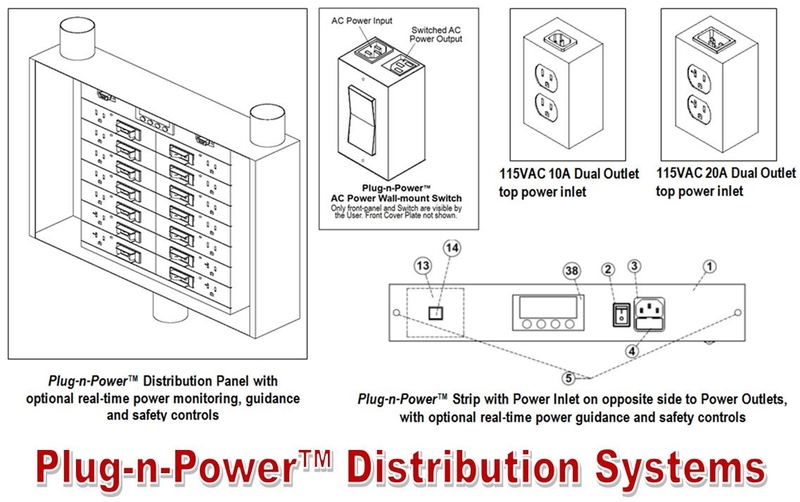 Still, vast majority of these products are powered by AC power distribution of voltages 90-130VAC. In addition, the design of these products is far too complicated, which is reflected in the pricing. With all these products, the addition of AC-DC converters to provide required DC power for LED lighting, impacts the energy efficiency, as converters are not ideal, and as a result, have efficiency factors below 100%. The addition of components to accommodate LED lamps to mechanically fit into existing AC sockets, and/or to be electrically compatible with the existing AC power distribution systems, lowers reliability of the product installed. The vast majority of existing LED lighting products lack self-diagnostics, such as monitoring the operating ambient environment. Regulating power to LED devices to avoid overheating, would sustain product longevity defined by product specifications. LED devices, when operated within the environment listed in their specifications, are projected to last at least 50,000 hours of continuous use. The opportunity to switch to DC power distribution is sacrificed for the convenience of retrofitting existing AC lighting fixtures. As result, safety hazards associated with the presence of AC power remains. ABSTRACT: Application describes apparatus intelligent parallel view LED light comprising: controller, sensors, LED’s, interfaces, enclosure. Sensors comprising: ambient light, proximity, temperature, voltage, current. Operator and remote controller interfaces include: wireless, INTERNET. LED’s configurations include: single color, multicolor, flexible PCB. Enclosure configurations include: water-proof, recess and surface mounting. Control configurations include: setting sensor trigger points; defining real-time control algorithm based on sensor status; time based controls; operating limits; acceptance criteria. Operating limits include: illumination intensity; energy consumption; internal temperature. Control algorithm includes real-time diagnostics and controls to achieve criteria set by configuration. Apparatus configuration stored in non-volatile memory. Enclosure configurations include: light retaining and reflection; hidden magnets for latch-in mounting. Discrete LED’s not visible by observer, produce illumination parallel to the viewing surface. Apparatus powered by low AC/DC, compatible with plug and power distribution. Apparatus in compliance with local and national regulations. Applications: residential ceilings, walls, floors; furniture; appliances; lamps; aquariums; billboards; backlighting art. 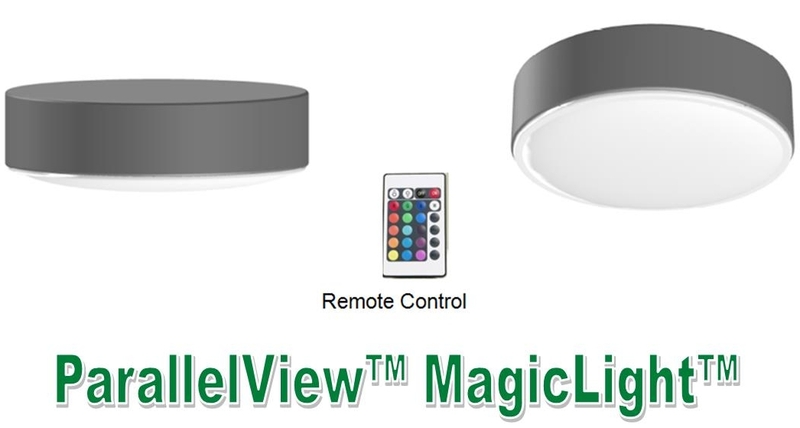 The Parallel-View™ Intelligent LED Lighting Systems include state of the art configurable MagicLight™ modules, which are compatible with DC Plug-n-Power™ distribution systems. For illustration purposes two types of modules are presented below.